You’ll find our blog to be a wealth of information, covering everything from local market statistics and home values to community happenings. That’s because we care about the community and want to help you find your place in it. Please reach out if you have any questions at all. We’d love to talk Colorado you! This week, we had a special guest, Andy Brewer, with ABC Home Inspection to walk us through some of the key things to look for when walking through a home. You can save yourself a lot of headache by being aware of some red flags before getting to a formal inspection. As an example, Andy breaks it down about cracks and discusses that not all cracks are bad, but certain kinds are more telling than others. For more home buying tips, call 719-822-1MOM! How do I qualify for a home without a down payment? What are the upfront costs of buying a home? Have more questions that need to be answered? Just start with the first step and contact us! We are happy to help you in any way that we can no matter where you are located or moving to! Don't hesitate to give us a call to discuss your options! 719-822-1MOM! This week we give you the good, the bad, and the ugly of HOAs. To start off we explain exactly what an HOA is and what communities use them most. HOAs vary from having strict rules to being more lenient and flexible of what they require of their residents. It's important when you're looking for a home to decide if you want to live in an area where there is an HOA and if so, look through the rules prior to buying to make sure you are able to abide by them. Some benefits of an HOA include trash costs, snow removal, or even lawn care. Tip of the week: We say it all the time but NOW is the time to get into the market! Don't wait for the rates to go up or for your dream house to go on and leave the market before you get a chance to make an offer! Thanks for tuning in and don't forget to give us a call at 719.822.1MOM for all your home buying and selling needs! How Appraisers Determine the Value of a Home! This week we discuss how appraisers determine the value of a home. Appraisers start by doing a visual inspection of the interior and exterior of your home. Next, they look at comparable homes in the area along with the trends of the market where you live. Lastly, they will see what upgrades you do or do not have in comparison to other homes in your neighborhood. Tip of the Week: If you're thinking of upgrading anything in your home, give us a call first. We want to make sure you're investing in the appropriate upgrades and that you will get your investment back with the sale of your home. Tune in next week as we discuss the Pros and Con's of living in an HOA. As always feel free to give us a call at 719.822.1MOM to ask about upgrades, appraisals, or any buying or selling questions you may have! Are you a lover of all things HGTV? If so, you've caught onto the house flipping trend. Though this is becoming more popular it is not as fun and easy as HGTV makes it seem. So this week we discuss some tips for anyone who is thinking of buying their first investment property. For starters, know what type of investment you're getting into. Are you flipping and selling, flipping and renting, or flipping and living? Second, know your numbers. The biggest risk in an investment property is potentially running into expensive unforeseen issues that may not be visible initially. Next, do not bite off more than you can chew. An investment home can quickly turn into a money pit and you may lose out in your investment. Instead start small by finding a property that just needs cosmetic updates, put some cash in your pocket, and then you can move on to the next project. Lastly, Know the area. You want to make sure the home you're flipping fits in with its neighboorhood and is comparable when it is time to sell. Tip of the week: If you're thinking about flipping a home to live in, call us! We have many lenders that specialize in programs that help you buy an investment property and can help you finance all the projects that need to be tackled in the home. Tune in next week as we discuss how appraisers determine the value of your home. Never hesitate to call us for any of your home buying or selling needs at 719.822.1MOM! PCSing is a stressful time. We know because we've been there. Today we have four helpful tips on if you are buying or renting while PCSing to hopefully make your transition a little smoother. 1. Call us! Even if you're not in Colorado or PCSing to Colorado, we have Property Mommies all over the world that are military spouses and have been through exactly what you are going through. 2. Ask for videos and more videos! Buying sight unseen can be intimidating that is why having multiple videos of your potential home and the neighborhood it is in is important. Also, make sure the realtor you use points out any major or minor defects the home may have. Even as little as a stain in the carpet or a loose cabinet door. 3. Ask questions. To your realtors, to anyone you may know that live their currently or in the past. 4. Do your research. We, unfortunately, can't tell you everything but there are multiple resources you can use to learn about the area. Tip fo the Week: if you are PCSing or about to, join one of our Facebook Pages for more tips on PCSing! 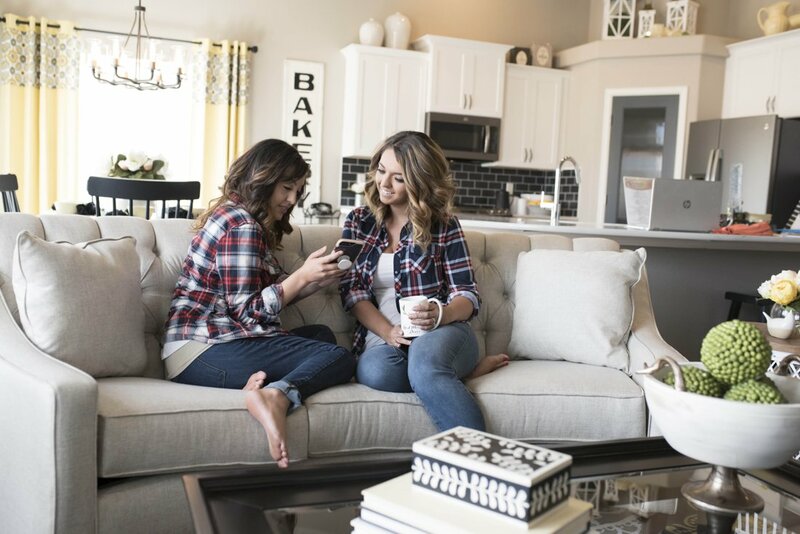 PCSing With Property Mommies Gives you tips, advice, and can help you link up with some of our awesome Property Mommies realtors! Peterson AFB PCS Pay-It-Forward : Coming to our area or know someone who is? Join this awesome program that helps you find rentals, gives support and lets you learn a little about our community. Always feel free to call us with any questions or concerns regarding your PCS move at 719.822.1MOM! This week we have a special guest! He just happens to be one of our favorite VA lenders, Chris Franquemont with North Pointe Bank. Chris is here to discuss what you should be doing now if you are thinking about buying a home in the near future whether that be six months to two years from now. The first step is to call a lender and see where your credit score is at, this way you can figure out what you need to work on or if your credit is already in good standing. How you need to work on your credit varies from a case to case basis and depends on the type of credit, lack of credit, or negative credit you may have. A lender can help tell you where the problem areas are and how to work on improving your credit. Tip of the Week: If you don't have any credit, go get a card from your local bank. Keep a small running balance and then pay it off when you get your statement. Tune in next week as we discuss PCSing tips for all our military followers. Thanks for watching and remember to call us at 719.822.1MOM for any questions, concerns, or for recommendations on a great lender so you can get started on your home buying process today! This week we have one of our favorite lenders from Fidelity National Title, Kodi Nottingham, here to discuss everything you need to know about a title company. We know learning about title companies is not always the most intersting but today we hope to be able to make title fun for you! In this weeks video we discuss what a title company is, what title insurance is, how to find a title company, and some other tips when it comes to title! Kodi explains it best so watch, listen, and learn to better understand title companies! Tip of the Week: Is for potential buyers! Kodi has a great tool that he has offered the Property Mommies to use and it is able to show you the potential value of a home that you could buy with the amount of rent you are currently paying. Why continuing paying someone elses mortgage when you could be investing in your own home for the same cost? Next week tune in while we meet with one of our favorite lenders, Chris Franquemont, and we'll discuss what you need to do if you're considering buying a home within the next six to tweleve months! Trying to figure if now is the right time to buy? Or maybe you're looking to selll? Call us at 719.822.1MOM and we'll give you the answers you're searching for! One of the most intimidating things about buying a home is getting pre-qualified for your loan. This week we have a special guest, Tim Chase with 719 Lending, here to help explain what it means to get pre-qualified. Tim goes through the initial conversation you would have with a lender and reminds us to shop around and interview multiple lenders to see who you work with the best. He also goes over what paperwork is needed when you are in the process of getting pre-qualified. If you have any questions regarding buying, selling, or lenders don't hesitate to call us at 719-822-1MOM! Tip of the Week: If your lender asks you for any documents make sure to get it to them quickly and make sure that it is accurate and there is no information missing. Tune in next week when we meet with Kodi from Fidelity National Title and discuss title questions that may come up while you are buying or selling a home. Swimming pools: Colorado Springs' pool season is 3-4 months out of the year making this more of a maintenance hassle than an upgrade to a home for potential buyers. Don't over- improve for your neighborhood. If the comps are priced below your home, you will end up losing money in the end. Keep it consistent. Carry similar themes and upgrades throughout the house. Don't spend all your money in your kitchen making it high end while the rest of your home is low end. Invisible Improvements. Unless absolutely necessary, leave your plumbing, electrical, hot water heater, etc how they are. Tip of the Week: If you're thinking about buying, call us at 719-822-1MOM! Talking to a lender can be intimidating but we can get you hooked up with some of the best in the Colorado Springs area. We will also give you our Buyer's Guide which goes over what we do for you and the process of home buying. If you're not in Colorado, call us anyway! We have connections with amazing realtors all over and are happy to refer you to one of them. Tune in next week when we go over how to sell your home during the winter months.